One of the great French comedic actors of the Twentieth century, he played more than a hundred roles each in the cinema and on stage. Recognized as the most popular French movie star of the late 1960s, he became known for his extensive repertoire of bold facial expressions. After dropping out of Paris' Lycée Condorcet, he worked as a jazz pianist. He later began his acting career in the theatre, making his film debut in 1945 in La Tentation de Barbizon. 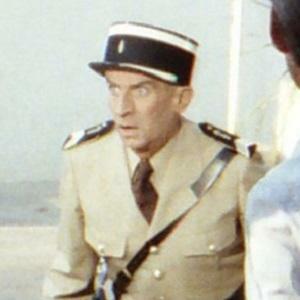 He rose to fame after appearing in director Jean Girault's 1963 comedy film Pouic-Pouic. His more than forty-year-long marriage to Jeanne Barthelémy de Maupassant resulted in two sons. He had previously been briefly married to Germaine Louise Élodie Carroyer. He starred in a 1967 French comedy film called Oscar; actor Sylvester Stallone went on to play his role in the 1991 John Landis-directed American re-make of the popular film.